China’s efforts to mimic the U.S. by exploiting its big shale gas reserves are hitting the rocks, thwarted by higher development costs due to geographic and geologic constraints, experts say. 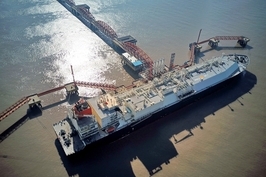 With its strong emphasis on energy self-sufficiency, China has long hoped to harness its recoverable shale gas reserves to meet its ballooning energy demand. Those dreams got a boost in 2009 with the discovery of huge reserves in Sichuan province, and the U.S. Energy Administration Agency now estimates China has 1.115 trillion cubic feet of recoverable shale gas, the most in the world. But efforts to harness that potential are stalling, even as China desperately looks for new sources of natural gas to wean itself from more polluting coal power. In 2012 the government awarded 17 state-owned and two private companies exploration rights for 19 potential sites for fracking, the process used to extract gas trapped inside layers of shale rock. But this October they all missed a deadline to invest the agreed minimum of 12.8 billion yuan ($1.86 billion) each in prospecting for wells, according to Zhang Dawei from the Ministry of Natural Resources’ Consulting and Research Center, speaking at an industry forum last week. The government had already extended the investment deadline on the projects in 2016 after companies failed to make adequate progress. But rather than rushing to develop more in developing shale gas blocks, capital investment has declined by 40% since 2014, to 9.2 billion yuan according to Pan Jiping, a researcher at the Oil and Gas Resource Strategy Research Center of the Ministry of Natural Resources. The main problems are costs and difficulty of exploration and extraction, analysts say. Compared with the U.S., China’s shale tends to be buried deeper, and the richest deposits are harder to find and tend to be in mountainous areas where drilling is more difficult, said consultancy Wood Mackenzie. About half of China’s shale is buried a prohibitive 3 kilometers (1.86 miles) down or more. For the 19 firms with exploration contracts, an initial failure to discover extractable resources may have made persuading investors to cough up further funding more difficult. 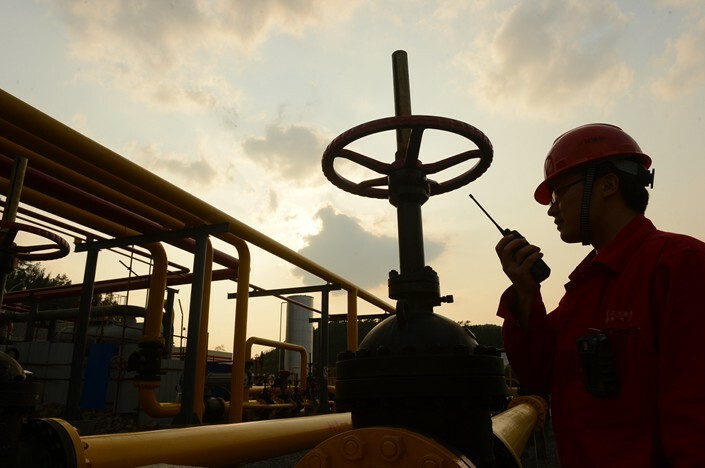 While foreign companies have expressed interest in China’s shale gas potential, several have also abandoned plans for joint ventures over the last decade due to concerns over forced technology transfers. Such transfers are one of the major beefs of many foreign companies and governments, including U.S. President Donald Trump in his ongoing trade war with China. BP PLC is the only foreign company currently developing the resource in China, with drilling projects underway in Sichuan. Analysts are unclear what will happen to the stalled developments as clear procedures for reallocating the blocks have not been established. But the lack of action so far appears to reflect the government’s own scaled-back ambitions, they said. In 2012 Beijing had targeted annual production of 100 billion cubic meters (3.53 billion cubic feet) of shale gas by the end of the decade, equal to about a fifth of U.S. production last year. But the National Energy Administration revised the target substantially downwards in 2014 to 30 billion cubic meters. Actual production could be even lower, less than 20 billion cubic meters, Pan estimated. 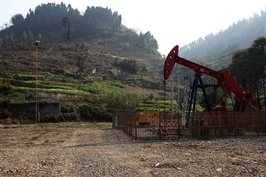 China is having some success with three key projects in the Sichuan basin. These are controlled by state-owned giants China Petroleum & Chemical Corp. (Sinopec) and China National Petroleum Corp. (PetroChina), with 700 new wells expected to come online between 2018 and 2020 at a cost of $5.5 billion, Wood Mackenzie estimates. But the 19 companies awarded tendering blocks face a tougher time hunting for suitable sites in mountainous Guizhou, Hunan and Hubei provinces, where reserves are less promising and more scattered, analysts say. Wood Mackenzie expects China’s shale gas production to double from 9 billion cubic meters of gas production annually at present, to 17 billion cubic meters by 2020. Yet China is set to remain dependent on gas imports, after surpassing Japan as the world’s biggest importer earlier this year.